We learned and witnessed number of things during our 8th annual “Shootem Up”. With all that what we learned, the unanimous take away was not to consider “low spall” types of glass as a substitute for UL® listed glass when ballistic protection is required. 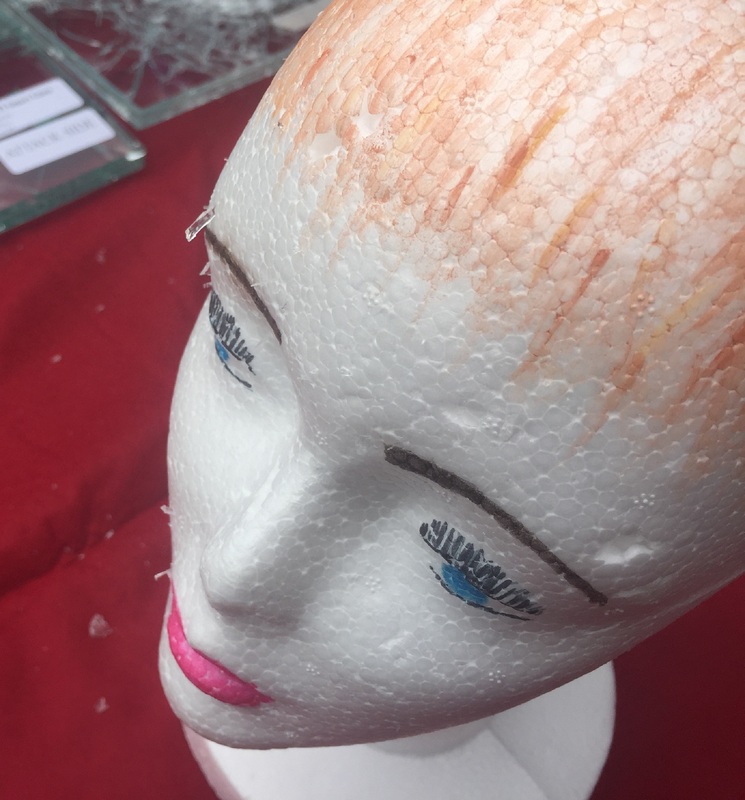 Think in terms of razor sharp shards of glass cutting into your employees or patrons, as was the case with our “witness” mannequin Polly Purebread. “Low spall glass” is a clever marketing term, somewhat like the terms “acceptable toxicity levels”, or “may have negative side effects”. Low spall glass is an adequate blunt force attack resistant glass (think hammer), not a ballistic glass. Low spall glass does have ballistic resistant properties. Those properties include shards of glass that could result in blindness. Take look at Polly. Low spall glass shatters by the impact of a bullet. Polly’s facial and head wounds show that glass shards from low spall glass can cause facial, head and neck wounds to the very people you’re trying to protect. That’s not protection, that’s a role of the dice with fingers crossed. We are where we are by choice. Before considering low spall glass for ballistic protection ask yourself; how many shards of glass does it take to blind a person? Put another way, would you stand behind low spall glass being fired on? Exactly. We’re not sure how low spall glass became an acceptable substitute for UL Listed glass. Was it costs? That seems a dear price to pay if you ask us. Not on your watch, and hopefully not on yours. 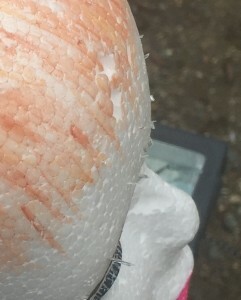 These close ups show the significant facial wounds that resulted from glass shards from “low spall” glass. Also notice the deep head wounds at the hairline. This entry was posted in Banks & Credit Unions, Courthouse Security, Law Enforcement, Uncategorized and tagged Access Control Vestibules, Bullet Resistant Entrances, Security Vestibules. Bookmark the permalink. ← For Customers Who Have Everything, and Bring It With Them!